Many refugees flee their home country in the hope of living a better life, but can sometimes end up in a dire situations; living in tattered tents that offer little protection and limited or no access to running water or electricity. That’s why Rashed Nessar created Foldable Emergency Shelters – 3D printed portable homes/shelters for refugees, made of durable and recyclable High-Density-Polyethylene (HDPE). 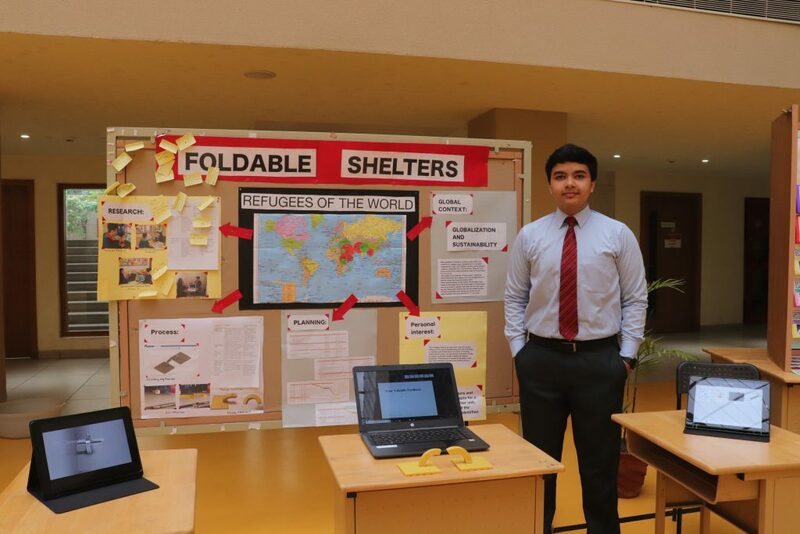 Rashed, originally from Afghanistan and a Middle Years Programme (MYP) student at DPS International School, in India, had been looking for a solution for the refugee problems existing in his country and felt a personal obligation to help with the ongoing Syrian crisis. “In the past few years, millions of people have been displaced from their homes and are seeking refuge elsewhere. My project helped me realize that millions of men, women and children make life-altering choices and, for millions, that choice is made for them,” says Rasheed. Rashed’s project provides plans for a foldable system of housing that provides a better alternative to current shelters. The rigid and anchored structures are more sustainable, safer and better temporary solutions. A second personal project addressed the global food crisis. 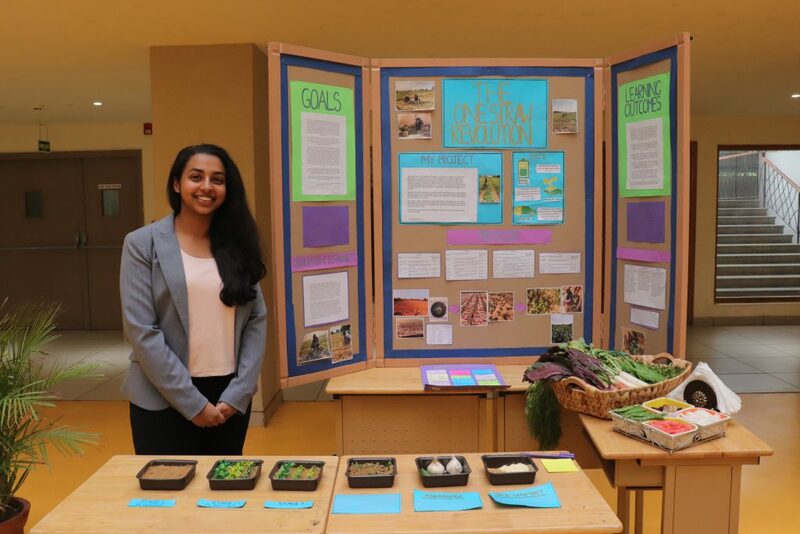 MYP student Tashvi Anand created a fully sustainable, zero budget, natural farm. She grew a range of vegetables using only natural resources, and encouraged the local community to do the same. Tashvi became inspired after attending a workshop on terrace farming, detailing how to naturally grow vegetables. “Farming is something that a lot of people do, but I wanted to take this forward by making my farm a fully natural and completely sustainable, using traditional Indian techniques of farming, and one that uses readily available means and does not need any capital investment. The personal project may be over, but Tashvi will continue in her pursuit of natural farming and continue to educate those around her. Both the students feel that their personal projects enabled them to demonstrate the IB learner profile attributes: risk-taker, thinker and caring. MYP Co-ordinator Kanchan Misra, says: “Both students got an opportunity to get out of their comfort zone and be sensitive to world issues relating to the UN Sustainable Development Goals.